Is Russell Brand a Lightworker or Illuminati?!?! 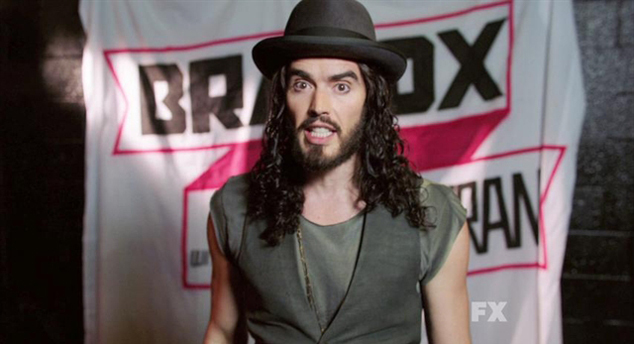 Let’s decode Russell Brand‘s name. RU = RUE, which is a shade of RED, (as in ROUge). RUE also means to feel regret, remorse or sorrow, as in WOE, (save WOE for later). EL = god or deity. “BRAND” refers to liveSTOCK branding. STOCK refers to cattle or BULLs and COWs. In ENG(ANG)lish lex(OX)icon, “brand” originally meant anything hot or burning, such as a “firebrand”, a burning stick. 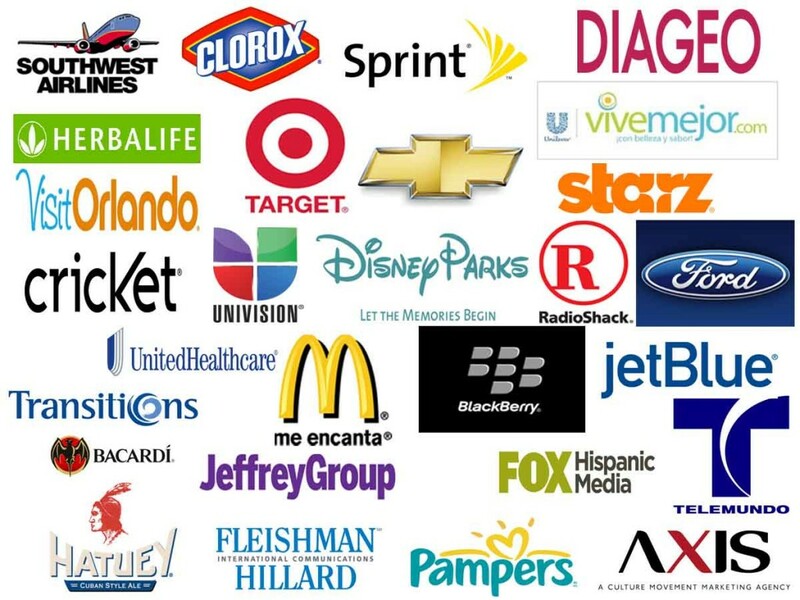 When we think of BRAND’s we think of popular consumer items that everybody wants, e.g., anything Apple or Gucci. In his name, he has SELL BRAND. Our consumerist society is based on the selling of BRANDs. Funny thing is, his name and what he apparently stands for are polar opposites. Fire is RED, (save the RUSSeFEIRing for later). He is the RED BULL or RED BULL GOD. He was born in EssEX/(OX), ENG/(ANG)land or the BULL‘s/COW‘s land. ANG is short for ANGus, as in beef that derives from CATTLE. 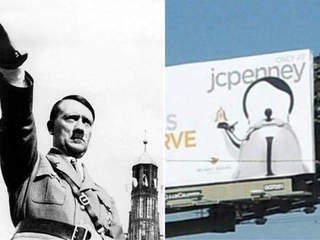 BRAND stands for a popular name. It’s also what ranchers do to CATTLE or liveSTOCK to MARK them. He was born RUssell Edward Brand = RUE.B. RUBY’s are RED. 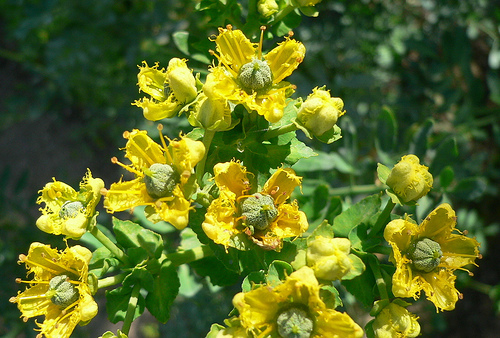 RUE is also a type of YELLOW-ish healing herb. BLUE is the color that represents the throat chakra that TAURUS, the BULL rules. 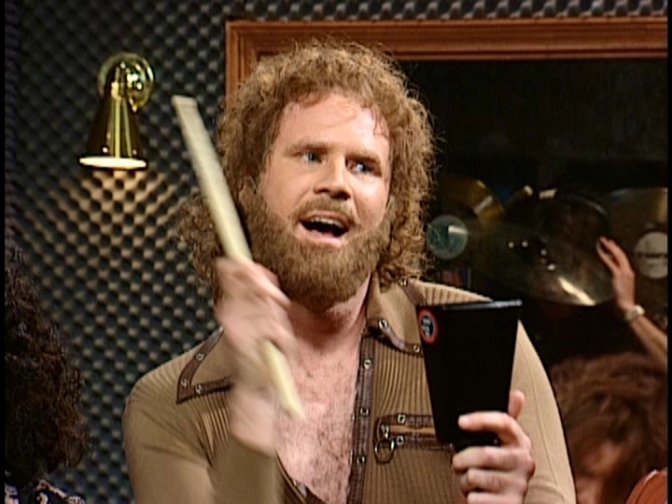 Russell Brand = R&B = Rhythm and BLUEs. Syncing the RED, the BLUE and YELLOW together create the picTAURe below. The RUE/ROU B RED slippers on the YELLOW BRICK road. BRICKs are typically RED. 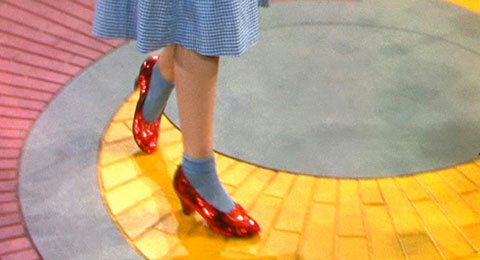 Dorothy wore BLUE which is the color that represents the throat chakra. ARBY’s is R.B.’s or Russell Brand. It is also a scRAM-BULLed RUBY which we just mentioned. 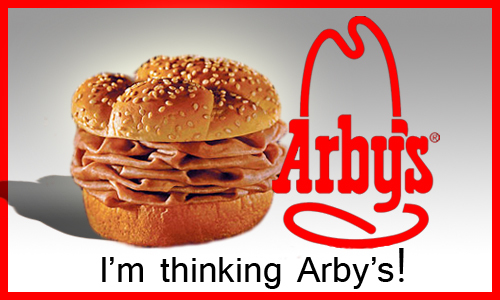 Arby’s is famous for their Roast BEEF that comes from the sacred COW. Brand is a GEM-n-EYE. The Ruby is typically a July birthstone but responds to Gemini as well. 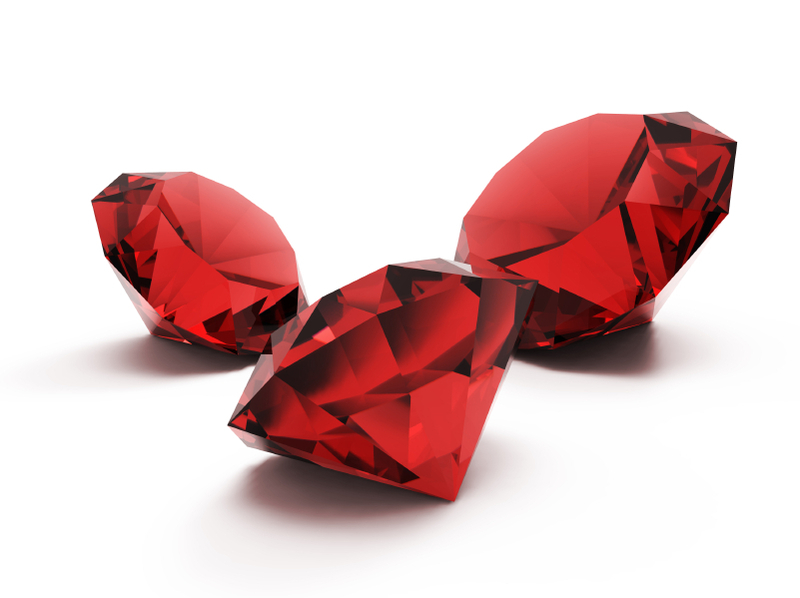 Rubies are the July birthstone and are RED. 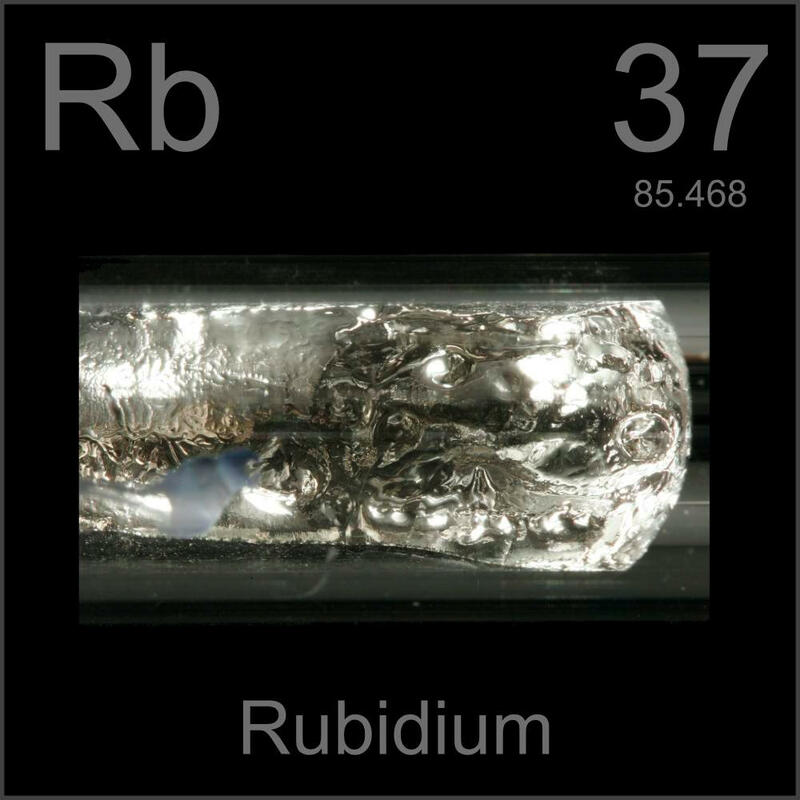 Rb is the atomic symBULL for Rubidium. The element is sometimes used in FIREWORKs to give them their Pi.rple color. Mixing RED and BLUE together will make purple. Russell Brand was married to Katy Perry who had a hit single titled FIREWORK. Rubidium’s atomic number is 37 which syncs up with one of Brand’s heroes, Che Guevara–>C=3 and G=7–>37. The atomic symBULL for Rubidium is Rb which = Russell Brand. 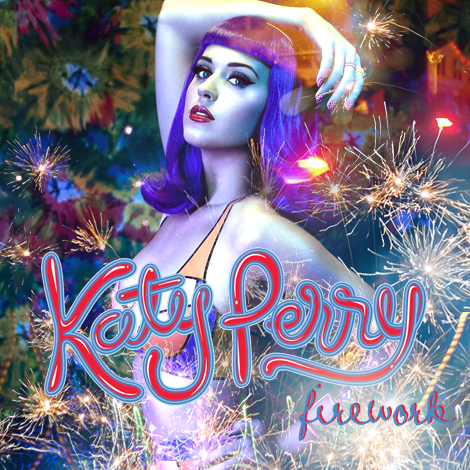 Katy Perry’s FIREWORK is one of her most popular songs. She wears the PURPLE (RED + BLUE) wig in this photo. Ruta graveolens (RUE for short) is a species of Ruta grown as a herb. 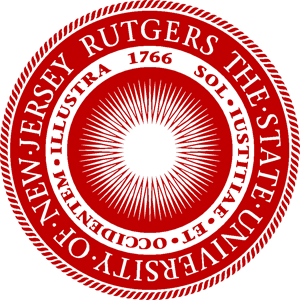 RU is an anagram for Rutgers University. Their theme color is RED. 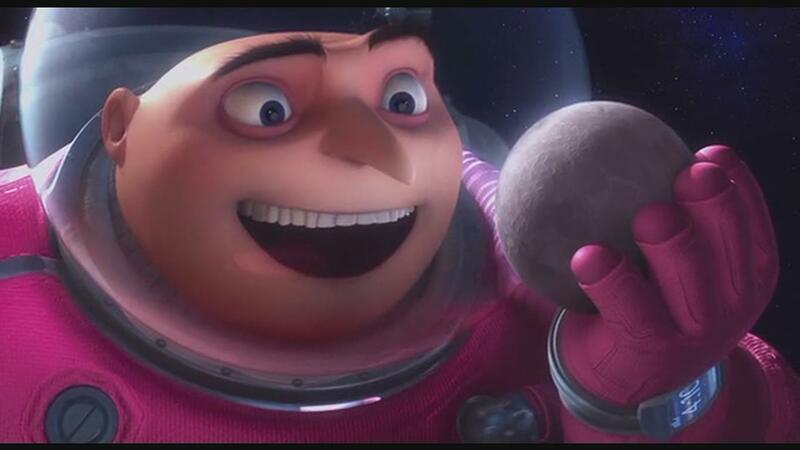 It’s in the HEART/(EARTH) of New JERSEY. (NJ=24/Jupiter) When we refer to JERSEY, we’re referring to the COW because it’s a type of bovine. Rutgers University is in the HEART of New (COW) JERSEY. 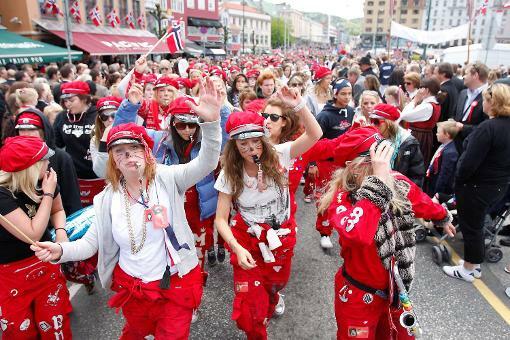 Russefeiring (russ for short) is a event that takes place during the astrological sign of TAURUS (May 1-May 17th) in which Norwegian high school students don RED overalls and celebrate their final year of school. The word comes from the Latin phrase cornua deposiTURUS/(TAURUS), which means “bound to put aside one’s HORNS.” Bulls have HORNS. Russefeiring is a celebration that takes place in Norway. RUSS = RUSSian. RED is the color of COMmunism, which originated in Russia. COM-MU/MOO-nication stems from the same ROOT (chakra) as COM-MU/MOO-nism which ties back to TAURUS once again, because TAURUS is about the throat chakra and where we speak from. RED Sonja is a MOO-v that contains a Russian name. Rory’s middle name is Sonya. Russell Brand is an acTOR/TAUR and COMedian. The Russian flag’s theme colors are RED and BLUE. Red Bull is popular BRAND of soft drink. 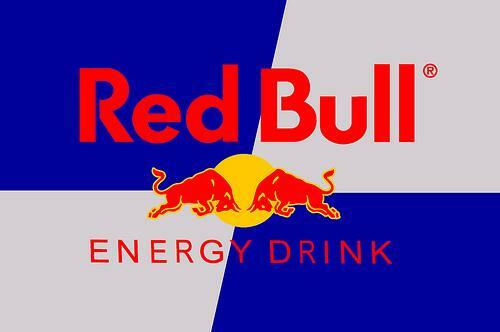 Russell Brand = the RED BULL, who most recently, has been speaking his mind, therefore representing the BLUE color. Red Bull energy drink is represented by both the colors of RED and BLUE. Red Bull‘s theme colors are RED, YELLOW and BLUE. The RED represents the ROOT chakra. The BLUE represents the throat chakra. The YELLOW represents the sun and the emotional cenTAUR. BRand X was an American late-night talk show television series that premiered on FX on June 28, 2012 starring BRAND. June 28th is during the sign of Cancer who is ruled by the MOO-n. It doesn’t get any MO[O]re blatant than this! In the photo below, BRAND is riding the sacred BULL in the heavens that wears the ANG+EL wings. Brand is also wearing the red and blue which stand for duality. Bulls do not see RED physically but metaphysically they do. The bull is represented by the BLUE color because the BULL rules the throat chakra which is BLUE. R is for RED or Russell. B is for BLUE or Brand. BRAND points his Jupiter finger up to the MOO-n. The show AIRed on a THORsday. He sports RED and BLUE bottoms which are the colors of ENG(ANG)land’s flag. The B and the R in the photo below stand for Russell and Brand. Notice how BRAND is in the cenTAUR of the BR and the DX. 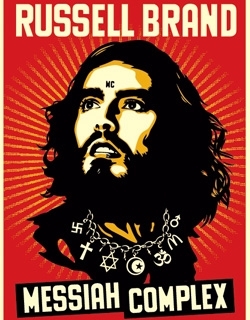 The D in this photo appears to look like an O, so it reads “BR” (Russell) BRAND OX“–> BRANDing the OX. When we watch shows like this, our subconscious mind takes in these esoteric messages even if we don’t outright see them or understand them. The Brand X logo is an X and an O which make OX. 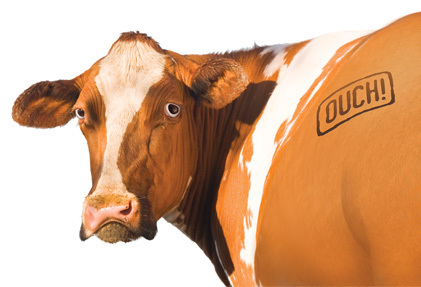 The OX = the sacred BULL or COW that is BRANDed. BRAND = TAURUS/BULL/COW and the X=24/Jew.Pi.TAUR. Jupiter and Taurus are conNECKted because Ju.Pi.TAUR was in the constellation Gemini when the show first aired. The show was canSELLed just before Jupiter transitioned out of Gemini and into Cancer. BRAND is a GEMINI, so his former show Brand X syncs up! Taurus comes just before Gemini in the zodiac. Rory is a Taurus and a rising Gemini. FurtherMO[O]re, her Jupiter is in Cancer. BRAND X was canSELLed just before Jupiter transitioned out of Gemini (the twins) and into Cancer where it is currently. BRAND has been a vegetarian since age 14 and a vegan since age 11, therefore he must revere the cow as a sacRED animal. He has shown an interest in the HARE (HAIR=rabbit=time=Saturn) Krishna MOOvement. 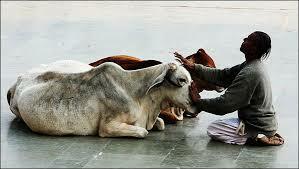 These particular individuals revere the cow as sacRED, so no branding here…. 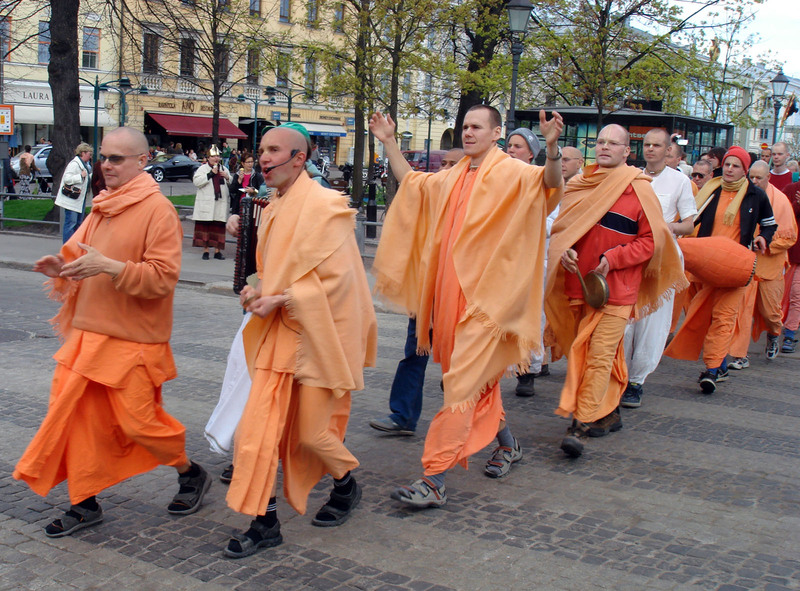 It’s funny how it’s called HARE Krishna because they do not have HAIR. Russell Brand keeps his HAIR long and flowing like the lion’s mane (Leo). He played “Tommy” in the BBC (223/322) sitcom “Blessed.” Blessed refers to blessing the sacred cow. He played opposite Kristen BELL in Forgetting Sarah Marshall. BELL = the BULL or that thing the COW wears around its NECK. He plays ALDOUS (AL=EL= god and DEUS = god) SNOW or SWAN scRAM-BULLed in both Forgetting Sarah Marshall and Get Him to the Greek. The SWAN represents Jupiter but also the Gemini twins (Castor and Pollux) because Pollux’s father, Zeus raped his mother, LEDA (LEAD) in the guise of a SWAN. Brand is a Gemini who are the twins in the heavens (Castor and Pollux). 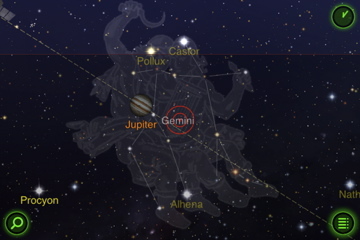 Castor and Pollux are the twins (Gemini) in the heavens. Brand is a Gemini. 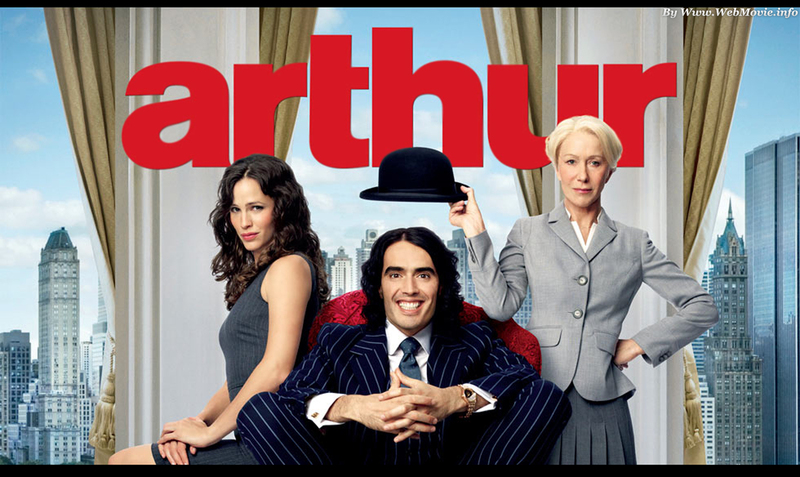 ArTHUR/(THOR) is a MOO-v starring BRAND about a BILL(BULL)ion-AIR-e –>BULL IN/ON AIR. Arthur is a scRAM-BULLed RA+THOR and HA+THOR. It’s also HER+ART, referring to the sacRED feminine. HER ART is abstract in nature. This is reflected in Brand’s bizarre behavior in “real life.” Finally, Arthur/HER+ART represents HEART♡, a central theme tied to Taurus. Get Him to the Greek was another MOO-v that starred Brand. He displays either the bull’s or the ram’s (Aries) horns on the back of Jonah Hill in the MOO-v poster below. The film was released on Brand’s bEARTHday (June 4, 2010). 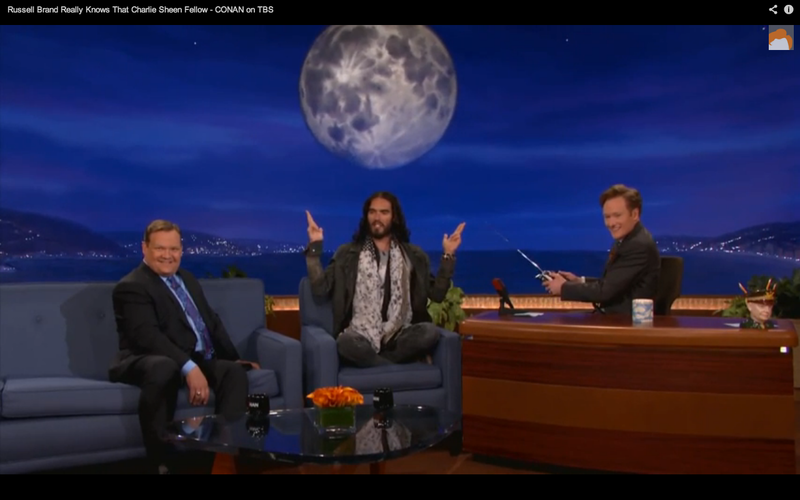 Russell Brand mentions “Wednesday” in both of these video interviews with Conan O’Brien (@ 0:56 ) and Daniel Pinchbeck (@ 1:33 ). Wednesday is ruled by the planet Mercury. Mercury rules the astrological sign of Gemini and Brand is a Gemini. Brand, born on June 4, 1975, was born on a Wednesday. Russell Brand’s recent interview with Jeremy Paxman took place on a Wednesday night (October 23, 2013). Brand’s interview with Paxman takes place just as Mercury was going retrograde. (October 21, 2013) … Wednesday is hump day, the day of WOE (WOdEn’s Day), Pi day, (because it occurs in the middle of the week–>MN/(Pi) = middle of the alphabet), and it’s the day Jesus was crucified. Wednesday is also WORDS-DAY because this day is ruled by the airy sign Mercury who has the gift of gab. This is something that Brand definitely possesses. Amanda is Rory’s best friend. Like Brand, she was born on a WEDNESDAY and is an ENG(ANG)lish teacher. She has a way with words! Also in that same interview with Conan O’Brien, Conan MOOves the MOOn over Brand’s head to make it appear like a halo. 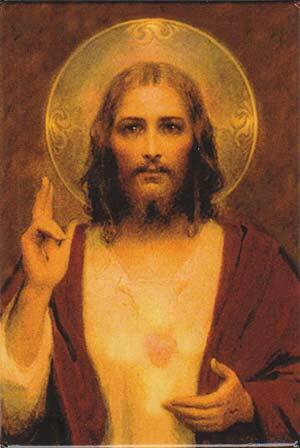 Brand holds his hands together in praying position to have the appearance of Jesus (the Messiah). 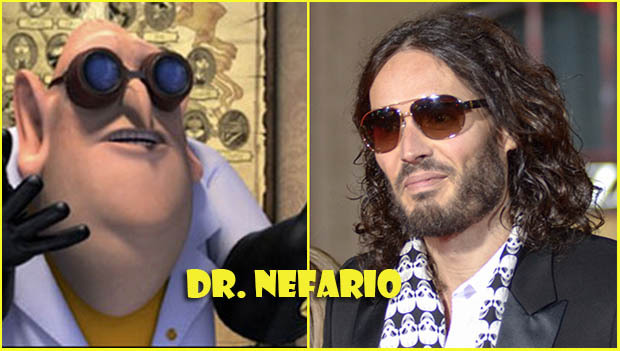 Russell Brand was the voice of Dr. Nefario in DeSPICA-BULL Me 1 and 2 which ties back to the MOO-n.
DespicaBULL Me cenTAURs around the main characTAURs desire to steal the MOO-n. When the MOO-n is its crescent phase, it appears to look like the BULL’s horns. 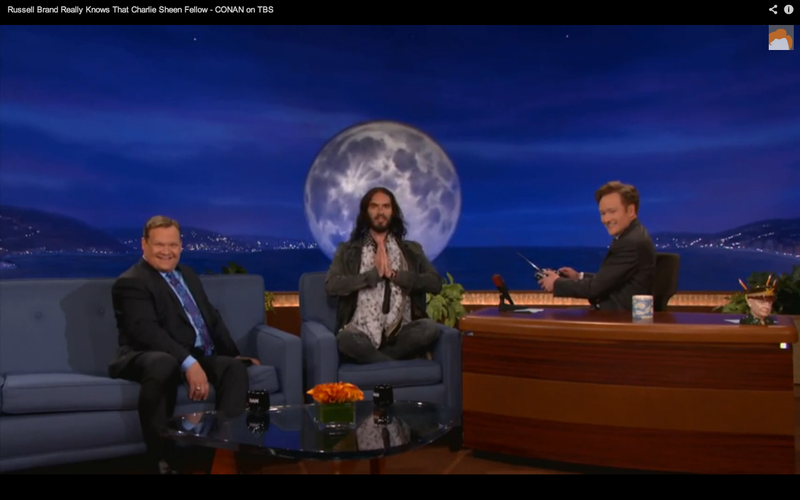 Russell Brand was mimicking this depiction of Jesus during his interview with Conan O’Brien in front of the MOO-n. 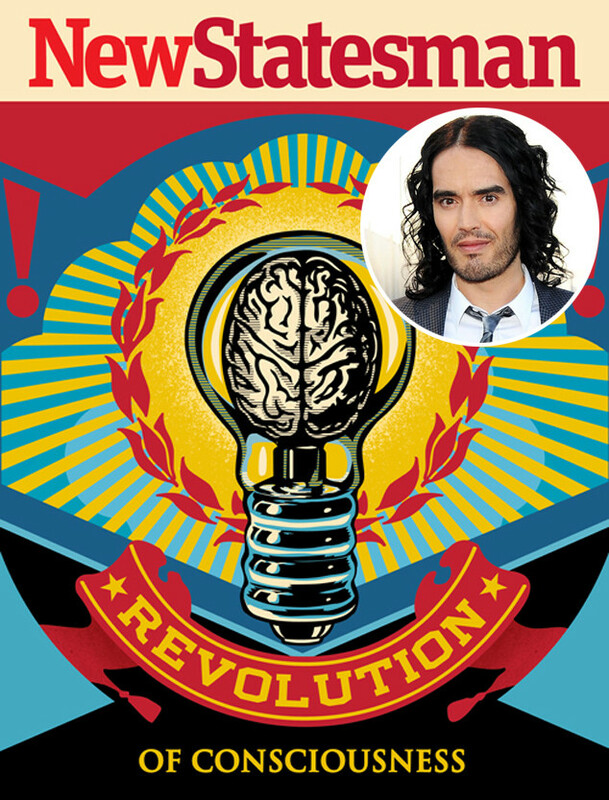 In the video below of Brand’s former show, “Russell Brand’s Got Issues,” he states that a REVOLUTION is needed ( @ 1:46 ). That showed aired for a short time in 2006. Fast forward 7 years later and Brand is still an advocate for a REVOLUTION. This time it’s a spiritual REVOLUTION of consciousness. He also mentions RHU(ROU/RU/RUE)barb while standing on what appears to be a BULLseye of a dart board. This was the logo for Brand’s former show, “Russell Brand’s Got Issues,” which aired for a very short time. 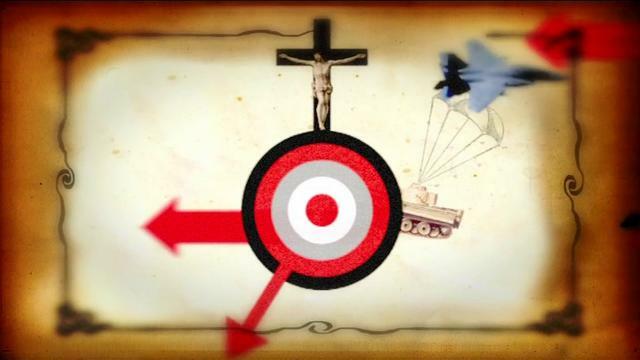 Notice the BULL’s eye as well as the cross with the Messiah, Jesus (the sun) above it. It’s also an upside-down Venus symBULL, as well as a flip-flopped Mars symBULL. 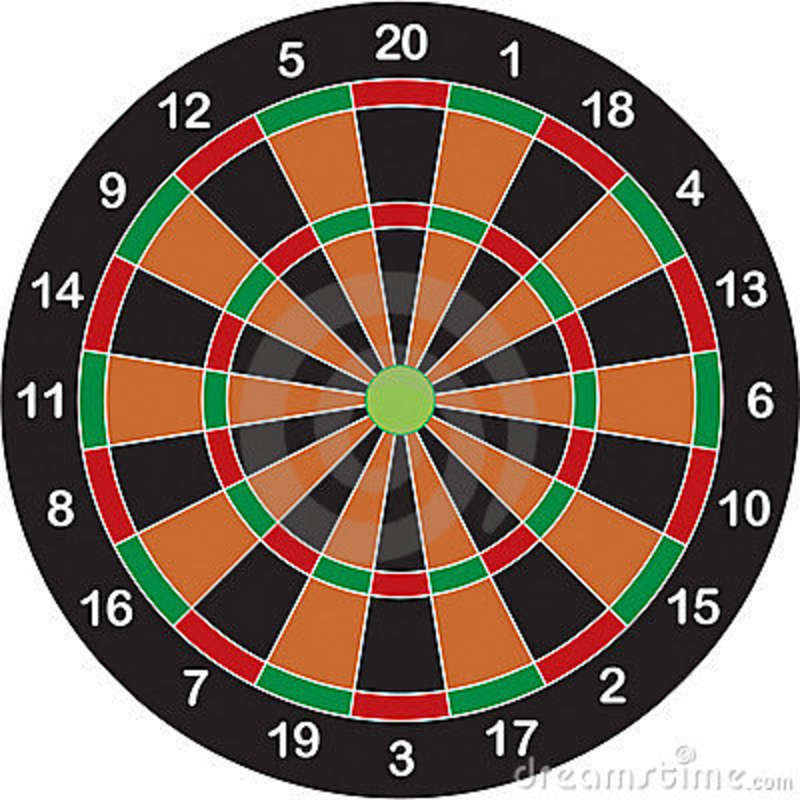 Dart Board (DB=42) with BULLseye. Notice how the 4 and 13 are next to each other (3.14/Pi). Russell Brand recently wrote for The New Statesman stating that a spiritual REVOLUTION must take place on planet Earth. 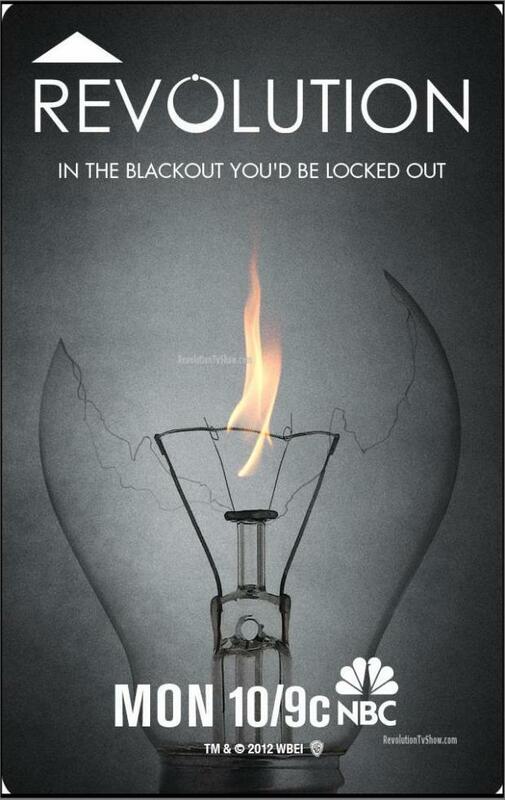 The lightbulb going out is the theme for the TV show REVOLUTION. The questions on many people’s minds are: “Is Brand a pawn for the powers that be (were)? Is he speaking out against the “Illuminati?” That is up for the individual to perceptualize for themselves. Whatever one focuses on, one will begin to see wherever they look. We like to focus on the idea that everything is seamlessly conNECKted to everything else.